Lately the whole world has gone mobile. There’s not much we cannot do from a cell phone or tablet. The desk top still has its place in the work force, but the tablet helps keep us more mobile and is used for a wide variety of functions. If you could crack a tablet open you’d find out that the components inside are very similar to those in the desk top computer. You’d also realize that you just voided your warranty! And you’d likely notice that the manufacturer was able to pack all the computer and electric components into a very small space efficiently. The microprocessor is the brain of a tablet computer. Even though the microprocessor is similar to what you’d find in a larger computer, the space inside a tablet is very limited so the processors are very small so that they can fit inside an extremely small space. By having a small microprocessor two things are accomplished. For one thing, it fits inside the smaller area and it also cuts down on the heat that is generated. Heat can wreak havoc on a computer and can eventually lead to mechanical failures. So having a smaller processor is a very good thing. A tablet is designed to get its power from a rechargeable battery that operates much like a cell phone. Various models use different batteries so the battery life can vary between the different models with a range of between 8 and 10 hours on average. 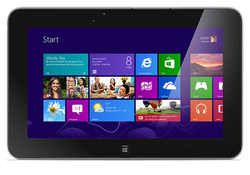 Some of the manufacturers of tablets designed them so that the user has the option of changing out the battery. Others do not allow the battery to be switched without taking it in to the store otherwise the warranty is voided. There are a few tablets that are underpowered purposely. Computer CPUs will execute different commands based on a clock cycle. The more clock cycles that a CPU can run in a second the more instructions it is able to process. Some types of tablets have under-clocked processors. This means that the CPU of a tablet is designed to run fewer instructions each second that what it is actually able to execute. This is basically in order to reduce the production of heat and help save battery life. This can be irritating to some that feel like the tablet is not performing up to its full speed. But actually, most tablets today really do not require this extra processing power at all. 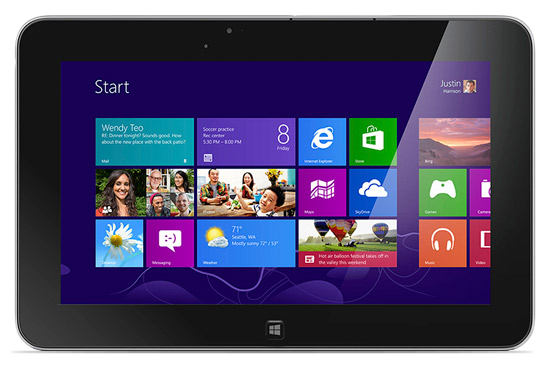 The programs used on tablets are generally less complex than other types of computer programs. The accelerometer and gyroscope helps the tablet find the right orientation to display the graphics in either landscape or portrait mode. The graphic processor or “GPU” helps take some of the load off the CPU when graphics are being generated. The Wi-Fi allows the table to connect to a network or Wi-Fi connection. Some tablets also contain a Bluetooth receiver which will allow it to interface with other devices which are equipped with Bluetooth. One thing that is missing in the tablet that is in most other computers including laptops is a fan. There simply is not enough space for a fan. There are two different ways to make a touch screen for tablets: resistive or capacitive. These two are not capable of working together so the manufacturer has to choose which one to use. A resistive system will detect a screen touch by pressure. Most tablets that use a stylus have a resistive screen. A capacitive screen detects changes in the electrical field but not by sensing pressure. This type of screen actually has a layer of material that is capable of storing an electrical charge. When the screen is touched with a conductive material, some of the electrical charge will transfer over to what is touching it. The capacitive system usually has a higher resolution than a resistive system and it does not have to be touched as hard for the touch to register.